The rivals, last year’s championship contenders, will launch their respective new cars within two hours of each other from lunchtime ahead of a season in which they again expect to battle for F1’s world titles. Mercedes are at Silverstone, where they are launching their W09 as part of a filming day during which world champion Lewis Hamilton and Valtteri Bottas will each drive the car for the first time. 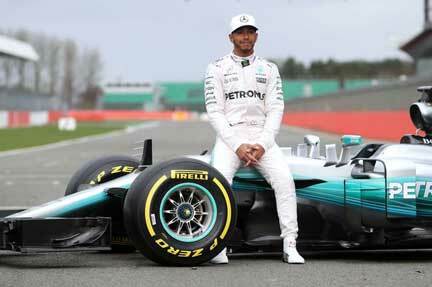 The new Mercedes will formally be unveiled at 12.10pm UK time, although sneak peeks of the car on track are expected to emerge before then. Attention will then turn to Italy where Ferrari will launch their as-yet-unnamed 2018 challenger during an online event at 2pm from their Maranello base. Drivers Sebastian Vettel and Kimi Raikkonen will be in attendance. Mercedes had to overcome a resurgent Ferrari to retain the Drivers’ and Constructors’ Championships in 2017 but still won more than twice the number of races compared to their rivals. Mercedes are expected to have taken an evolutionary approach to the W09’s design, although are determined to cure the negative characteristics of last year’s car which led team boss Toto Wolff to christen it a “diva”. While the Brackley team are on a run of four consecutive title doubles, Ferrari will complete a full decade without either world championship should they ultimately leave 2018 empty-handed. The Scuderia made giant strides last winter and are eyeing more improvements with their chassis and engine for 2018, in addition to improving reliability after late-season setbacks hobbled Vettel’s title bid. Ferrari are tipped to introduce a longer wheelbase on their 2018 car to bring them more in line with Mercedes’ configuration. Speculation in recent days has focused on Ferrari’s likely car livery with suggestions that the white which featured on the engine cover of its famous red machine last year could disappear after former sponsor Santander withdrew from F1. But while the Italian team have lost one long-time sponsor, tobacco giant Philip Morris, their longest-standing backer, has extended its deal to 2021. Tight laws around cigarette advertising have meant that the logos of the American firm’s Marlboro brand have not appeared on Ferrari’s car since 2007, but the renewal announcement said the partnership would now be “exclusively focused on advancing the cause of a smoke-free world”, prompting suggestions that one of their e-cigarette brands could be promoted.